I am so excited of Illucia! To have something physical to go with all the virtual patching is just perfect. So useful and inspiring. I am having trouble opening the "illucia_dtr_pcbs"-files from Github. This is my first encounter with .sch and .brd. I tried to open them on OSX with different programs but no. I wonder if there's an open source viewer that's recommended? Are these files meant to be printed as circuit boards? The trial version is free and they should open just fine in that. PS there are two simple bugs (not show stopping - they just require a resistor leg bridge - I'll put a diagram up on github asap. I'll fix it in the circuit if I ever do another board order - wouldnt want to publish a board where I haven't physically tested it). The PCBs are super simple though. I made the board to a) mount the teensy b) make it easier to solder wires c) create a design where I could easily transition to an SMD non-teensy run if I wanted to. You could just deadbug resistors to jacks and run wires straight to a teensy if you wanted - it is just tricky to solder and then mount durably/reliably. Also worth noting that the smaller pcb (the USB breakout) might not be necessary depending on how you build the unit. I designed mine to be rugged and durable yet with a clean point of entry on the enclosure for USB, so I used the Amphenol USB jack. 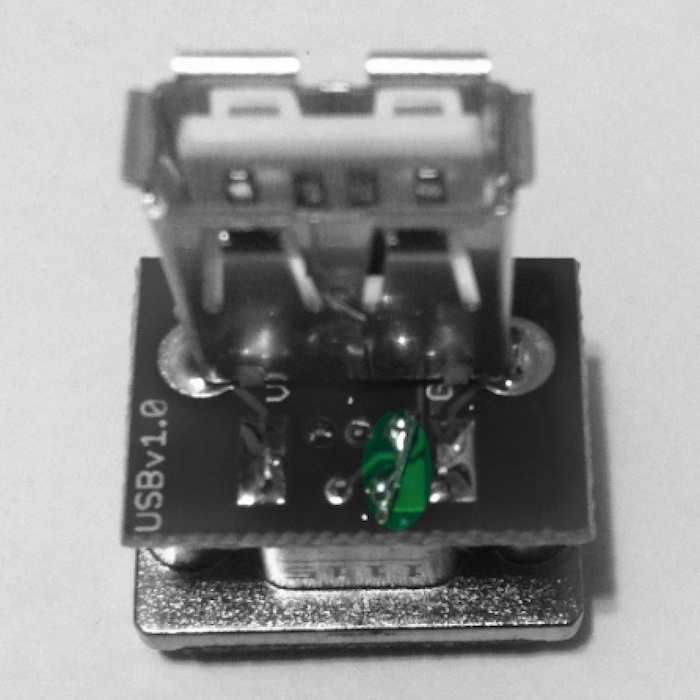 If you're going diy and/or into a different enclosure you might only make the larger teensy breakout board and just run a cable from your computer right to the Teensy's USB board. I'd like mine to be rugged and durable also! I thought about getting the same enclosure thats in the parts list. I have so little experience in electronics, it's best for me to just follow the instructions! One is just on the USB breakout board for the Amphenol USB jack (which is a rounded rectangle/requires custom CNC work on the illucia enclosure). That board isnt needed unless you use that same amphenol rugged usb jack. Is maybe a hair overkill to use those. The other goes from the main illucia board to the teensy. I don't have a pic handy at the moment but it is really straightforward. There is a section of 3 plated holes on the side of the Teensy that has the reset button. You just send a resistor leg through the +5v power hole.